"Click to Endorse Fortified Products" will be displayed on thescreen. On Clicking, License/ Registration Certificate list will be displayed. 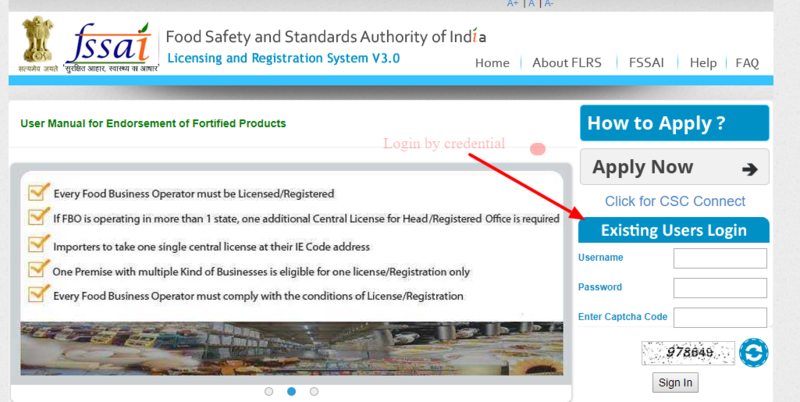 FBO has to click on Proceed against License/Registration Certificate number. A pop-up will open with an Undertaking. Only after clicking "I AGREE" FBO can proceed further. List of commodities as per the FSS, standards of fortification, regulationwill be displayed. FBO will select the product and enter theVariant and Brand Name against selected category. Product details along with Fortified Logo along will be given as endorsement mentioning License number.